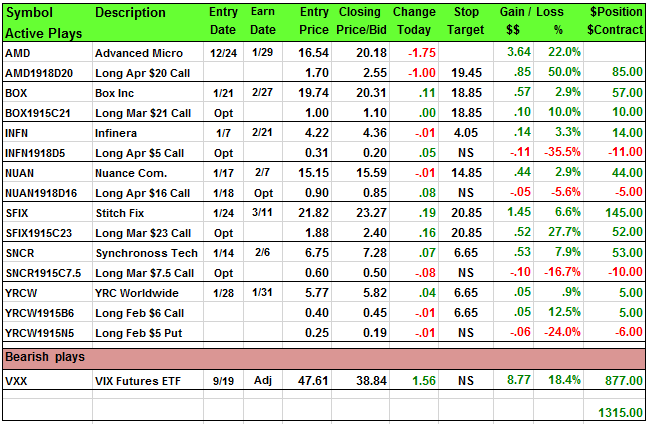 The big cap indexes were struggling but the Russell was not participating. We only had one material decline in our portfolio and that was AMD because of the Nvidia warning. All the other stocks were either flat or higher. I am shocked but I will take a flat position over a loss every day. 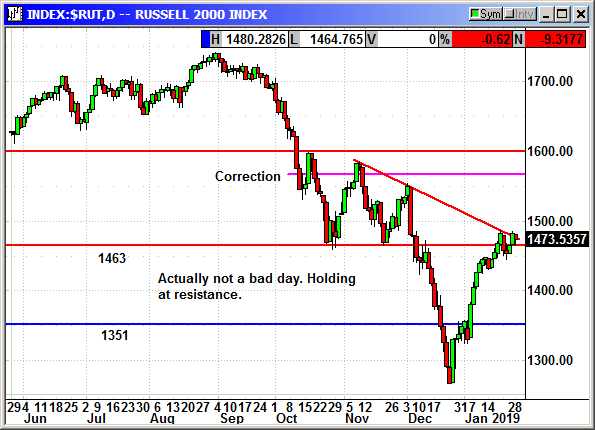 The Russell index held its recent gains and remains glued to that downtrend resistance and a breakout appears imminent. Unfortunately, that will depend on the big caps and on Apple's earnings after the bell. The combination position was entered at the open.